I’ve already outlined my ideas for using Gearmaster Mechazod to purify Leper Gnomes by ‘removing’ the ‘Curse of the Flesh’. I am beginning to wonder is the same process would work on troggs. There are rumors that say troggs used to be dwarves or some such non-sense. But if the Gearmaster can turn a gnome in to a Mechagnome, why couldn’t he turn a trogg in to a dwarf? or really anything more useful than a trogg! I am aware that if I want gnomes to return to Gnomeregan I have to clean up the mess. My plan is to ‘acquire’ the head of Gearmaster Mechazod and learn his de-cursive technique. Once that has been mastered we can turn all my leper gnomes in to Mechagnomes. Mechagnomes are not affected my the irradiation process. Once the halls of Gnomeregan have been restored. We use the re-cursive tool to turn the mechagnomes back in to fleshy gnomes. That gets Gnomeregan Clean, AND cures the leprosy. 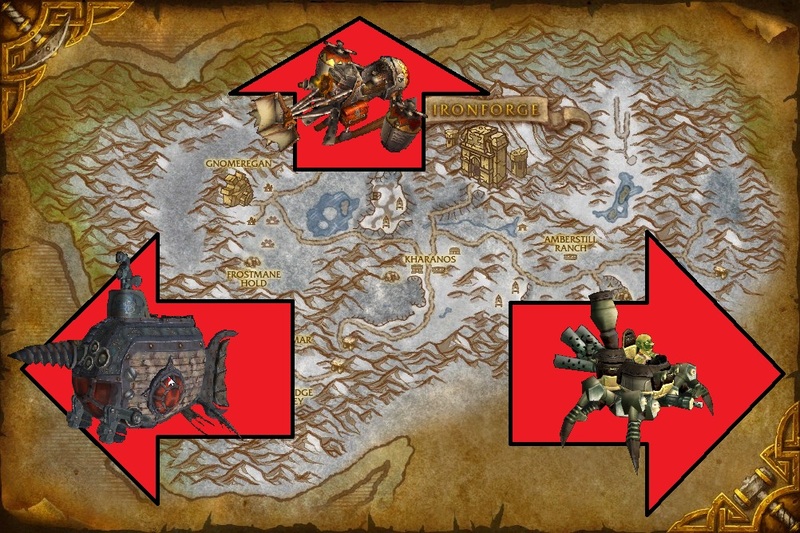 I don’t see Mekkatorque coming up with BRILLIANT plans like that!